Things are getting crowded and competitive here! 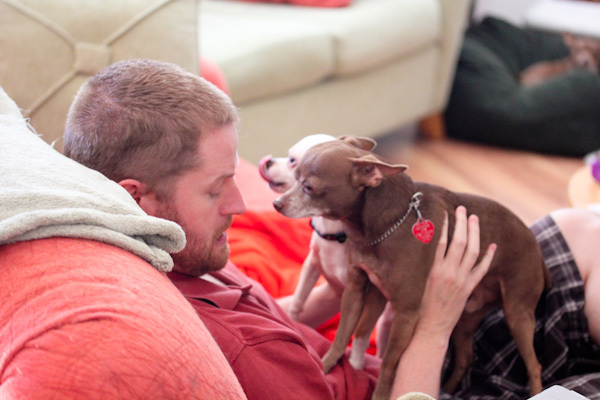 We’re watching my mom’s chihuahua this week and he’s just as much of an attention hog as Miko. 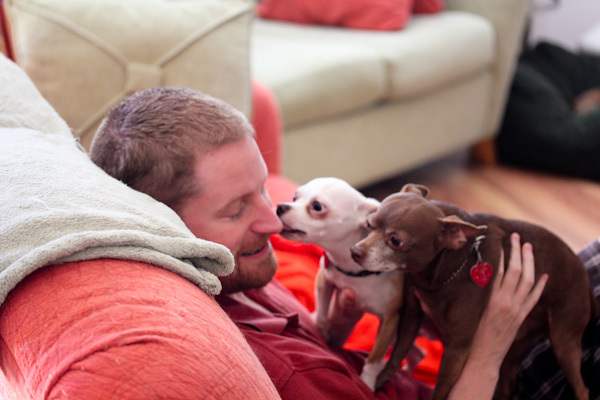 Poor hubby can’t sit down without getting two very affectionate chihuahuas in his lap. And I get three chihuahuas following me all over the house. Walk time has been interesting since they all want to go in different directions! Which was my problem with tonight’s dressing recipe. I had fresh pineapple to use up, but wasn’t sure what flavors I was craving – sweet, spicy, creamy, cinnamon? So I went with them all and it was a surprising winner! 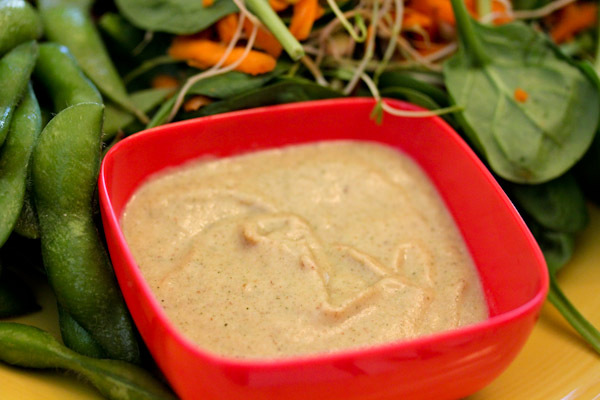 The dressing is more like a sweet custard with a spicy and savory kick from the hot sauce and cinnamon. It could work well as a punchy fruit salad dressing or a slightly sweet and unique veggie salad dressing. Or a dip for fresh chopped veggies and fruits. Either way, it’s a an unexpected summer treat for a salad with a slight hint of fall. 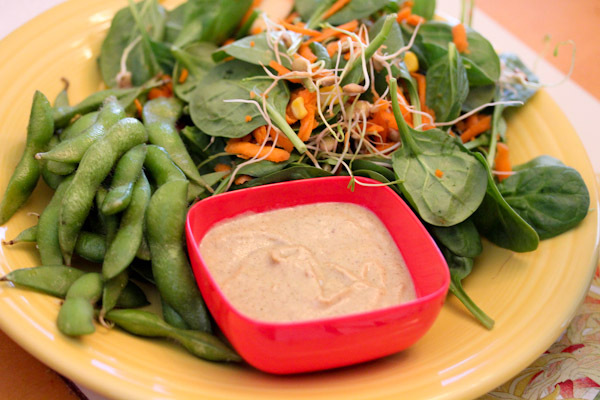 love that you used fruit for a dressing…and that it was pineapple! my fave! i love the pups! great pics……happy wednesday! That dressing looks absolutely fantastic. I love the different flavors in there! I think that’s the first time I’ve seen your hubby on the blog!